Congratulations to our colleagues Tim Kohler (Washington State University), a member of the Center for Digital Antiquity Board of Directors and Mike Smith (School of Human Evolution and Social Change, Arizona State University) for recent attention to the results of their research program on the roots of inequality published in Nature. a, Coefficients by absolute date of sample (calibrated BC/AD 14C, tree-ring date or calendar date); n = 62; !Kung San was excluded. b, Coefficients by Δyears (date of sample − date of the local appearance of domesticated plants); n = 63. S Mesopotamia Early Dyn, Southern Mesopotamia Early Dynastic; CMV PII, Central Mesa Verde region Pueblo II. Organized by Kohler and Smith, the research involves work by many scholars, e.g., there are 18 co-authors of the recent Nature article. A symposium at the 2016 SAA Annual Meeting, “Inequality from the Bottom Up: Measuring and Explaining Household Inequality in Antiquity,” involved a similar number of presenters. A book, Ten Thousand Years of Inequality: The Archaeology of Wealth Differences is being prepared for publication by the University of Arizona Press. Data from the wealth inequalities research project are being deposited in tDAR (the Digital Archaeological Record) for easy and broad accessibility and use. These data also supplement chapters in the forthcoming book. 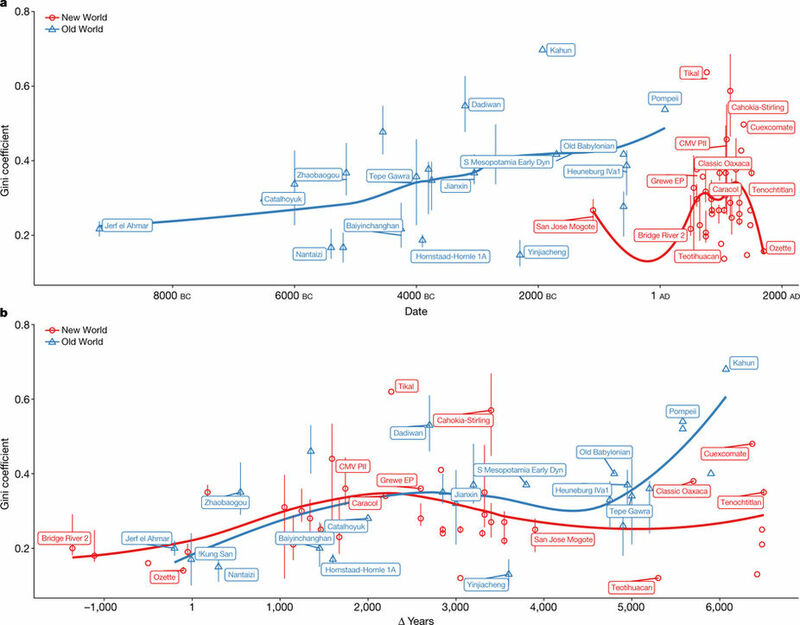 The research results describe and interpret the long development of wealth inequality from ancient to historic to modern times in different parts of the world. This topic, of course, is of wide interest and concern at present in many parts of the world, not least the United States and China. The research results have been discussed in Science, for which Kohler and Smith were interviewed. The research results were featured in a televised segment by CNN’s Fareed Zakaria. The Center for Digital Antiquity has a new Digital Curator position open and we invite qualified applicants to apply. The position of Digital Curator plays a vital role within our organization. Not limited to one specific function, we seek a well-organized, knowledgeable person who will provide curation services to clients, including drafting administrative and substantive metadata for digital files to be deposited in tDAR, recommending and carrying out redaction for confidential or sensitive data in files, assisting in the planning of digital collections within tDAR for clients, and other services. This person will also assist in the Center for Digital Antiquity’s development, improvement and maintenance of tDAR digital repository. This will involve work on project documentation, cleaning up existing data and entering new data/documents. Digital curators are also involved in creating instructional text and web pages to improve information for tDAR users. To learn more and to apply, visit the Arizona State University employment website. Applications will be accepted through January 24, 2018. We had a busy year in 2017, tDAR continued to grow with significant contributions from a number of organizations. tDAR had one major software release, Prehistoric, which unified search across collections, resources, and data integrations, and simplified rights and permissions. While we do not maintain detailed statistics on users or use to protect user and contributor privacy, we can share some interesting aggregate data. Below are the most frequently viewed and downloaded resources. These include the most viewed resources in tDAR. These were the most downloaded files from tDAR. The Center for Digital Antiquity staff and collaborators report a very successful year in the area of grant awards. Last spring, Keith Kintigh (School of Human Evolution and Social Change, Arizona State University), a member of the Center for Digital Antiquity Board of Directors, and a group of co-investigators were awarded a three-year grant, “The Digital Archive of Huhugam Archaeology,“ by the National Endowment for the Humanities, Division of Preservation and Access, Humanities Collections and Reference Resources Program. The Digital Archive of Huhugam Archaeology (DAHA) project will create a comprehensive digital library of reports on archaeological investigations of the ancient Huhugam (Hohokam). These central and southern Arizona inhabitants once tamed the Sonoran desert through sophisticated irrigation, far-flung networks of ceremonial ball courts, specialized craft production, extensive trade, and large, long-lived towns. When complete, the archive will contain copies of 1600 major archaeological reports, estimated to total roughly 400,000 pages. The DAHA archive content is already being built in tDAR. 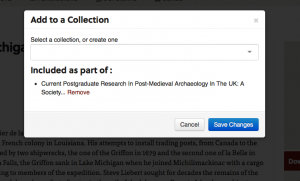 The digital archive will reside within Digital Antiquity’s tDAR(the Digital Archaeological Record) online repository that preserves and provides access to archaeological and cultural heritage data and information. The archive will provide scholars with crucial long-term data for comparative studies, indigenous communities with access to a wealth of research on ancestral populations, teachers at all levels with firsthand research texts for classroom use, and the general public with a reliable, valued resource to learn about this fascinating ancient culture. Kintigh is the lead PI for the grant for which Digital Antiquity Executive Director, Frank McManamon is one of the co-PIs. Digital Antiquity Director of Technology Adam Brin, Program Manager, Leigh Anne Ellison, and Lead Digital Curator, Rachel Fernandez also have substantial roles in the project. Digital Antiquity is partnering with the Amerind Museum (Director, Christine Szuter) on the project. Other collaborators and co-PIs on the grant include ASU colleagues in the School of Human Evolution and Social Change (David Abbott and Richard Toon), ASU Libraries (Michael Simeone), and American Indian Studies (David Martinez). Also in the spring, the National Science Foundation Archaeometry Program awarded a two-year grant to Digital Antiquity, “Advancing Synthesis, Open Access, and Reproducibility in Archaeological Research,“ Kintigh again is the lead PI and McManamon co-PI with substantial involvement by Brin, Ellison, and Fernandez at Digital Antiquity. For this grant, Digital Antiquity is partnering with the Crow Canyon Archaeological Center and the CRM firm Brockington and Associates. The award will enable the research team to simplify the procedures, or workflow, from data collection to deposit of useful data and information in a digital repository where they can be discovered, accessed, and used for future research, education, public outreach, and resource management. During the summer, we learned from Michael E. Smith, our colleague at the School of Human Evolution and Social Change, that the National Science Foundation Archaeology Program was funding a two-year grant, “Documenting, Disseminating, and Archiving Data from the Teotihuacan Mapping Project,“ for which Smith is the lead PI and McManamon co-PI and Angela Huster is the post-doc for the project. The digital data created and updated will be added to a tDAR collection for the project, now under construction, where it will be broadly accessible for future research and educational uses. At the beginning of December, our colleague Michelle Hegmon (School of Human Evolution and Social Change, Arizona State University) was awarded a grant from the National Endowment for the Humanities, Digital Humanities Program.“ The award will provide support for the development of tools to enable online analysis and research of digital collections, in particular for images, the testbed for the project is the Mimbres Pottery Images Digital Database (MimPIDD) in tDAR. This new work will build on earlier developments that have made available and accessible many of the striking images from ancient Mimbres pottery through tDAR. Assembled by Hegmon and colleague Steven LeBlanc (Harvard, retired), MimPIDD contains over 10,000 images of Mimbres ceramic vessels, among the most spectacular and renowned prehistoric pottery in North America. 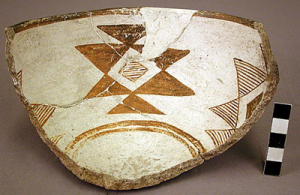 The Mimbres archaeological culture, concentrated in southwest New Mexico, is particularly noted for its stunning black-on-white style bowls, which were often decorated with naturalistic designs (especially ca. A.D. 1000-1130). MimPIDD digital images illustrate the painted designs on each vessel, along with associated descriptive information about archaeological context, temporal style, and vessel form and size. For the new project Hegmon will work with Center for Digital Antiquity Director of Technology, Adam Brin, DA Executive Director, Frank McManamon, and ASU Libraries’, Mary Whelan. At Digital Antiquity, additional grants work continued on projects begun in 2016. Work on the dataARC project with colleagues at the National Snow and Ice Data Center, Colleen Strawhacker (dataARC PI), the North Atlantic Biocultural Organization, the Center for Advanced Spatial Technology, plus researchers in Iceland, Scotland, Sweden, and other parts of northern Europe and the North Atlantic. dataARC is producing online tools and infrastructure to enable researchers from a broad range of disciplines to study the long-term human ecodynamics of the North Atlantic, including Iceland, Greenland, and the Orkney Islands. Digital Antiquity Director of Technology, Adam Brin serves as the technical lead for DataARC. Further work also is underway on the SKOPE II (Synthesizing Knowledge of Past Environments) project. Kintigh, Kohler, and Brin are involved in the project, which provides an online resource for paleoenvironmental data and models. It enables scholars to easily discover, explore, visualize, and synthesize knowledge of environments in the recent or remote past. Through a 2016 collaborative award to Arizona State University (ASU), the University of Illinois at Urbana -Champaign (UIUC), and Washington State University (WSU), the National Science Foundation is funding the ongoing development of SKOPE (SKOPE NSF proposal page). Congratulations to Michelle Hegmon (School of Human Evolution and Social Change, Arizona State University) for her recently awarded grant from the National Endowment for the Humanities, Division of Preservation and Access, Promotion of the Humanities Program, “From Library to Laboratory: Developing Tools to Enhance the Use of Digital Archaeological and Other Humanities Collections.” The award provides support for the development of tools that will allow online analysis and research of digital collections, especially those with images. The testbed for the project is the Mimbres Pottery Images Digital Database (MimPIDD), a large collection of archaeological pottery images from the Mimbres region of the US Southwest that is contained in tDAR (the Digital Archaeological Record). This new work will build on earlier developments that have made available and accessible many of the striking images from ancient Mimbres pottery through tDAR. Assembled by Hegmon and colleague Steven LeBlanc (Harvard, retired), MimPIDD contains over 10,000 images of Mimbres ceramic vessels, among the most spectacular and renowned prehistoric pottery in North America. 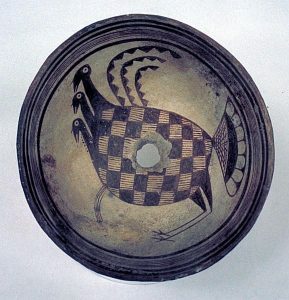 The Mimbres archaeological culture, concentrated in southwest New Mexico, is particularly noted for its stunning black-on-white style bowls, which were often decorated with naturalistic designs (especially ca. A.D. 1000-1130). MimPIDD images illustrate the painted designs on each vessel, along with associated descriptive information about archaeological context, temporal style, and vessel form and size. Numerous collections of Mimbres pottery vessels exist, scattered across many countries and dozens of museum and private collections. The dispersed nature of these collections makes it difficult to undertake comprehensive studies of Mimbres ceramics. The MimPIDD image collection and database brings together in one virtual place visual and descriptive information from many of these collections, allowing easy access to a wealth of disparate data. The MimPIDD collection is one of the most popular in tDAR. Tens of thousands of page views and hundreds of downloads of the public version of the database and individual images are recorded. For the new project Hegmon will work with the Center for Digital Antiquity Director of Technology Adam Brin, DA Executive Director Frank McManamon, and ASU Libraries’ Mary Whelan. Jeffery Burton’s 1992 report “San Miguel de Guevavi: The Archeology of an Eighteenth Century Jesuit Mission on the Rim of Christendom” has been downloaded from tDAR 41 times (the metadata record that is linked to the report in tDAR has been viewed even more frequently, nearly 1700 times since it was created and the file uploaded in 2010). That’s a lot for an off-the-beaten-path archaeological site that’s usually closed to the public. Mission Guevavi, situated along the upper Santa Cruz River, is preserved by the National Park Service (NPS) as a detached unit of Tumacácori National Historical Park. While the park provides special tours of the site, its remote location and minimal standing architecture makes it less than ideal for visitation from the general public. 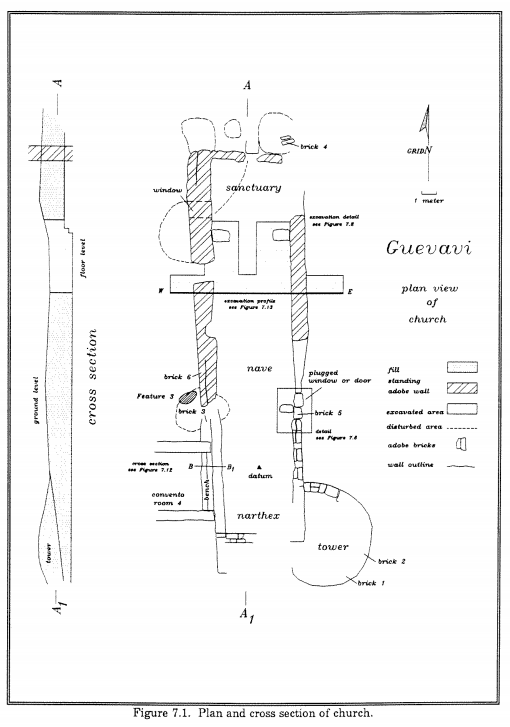 The figure with this posting (Figure 7.1) is from Burton’s report and shows plan and cross-section of the church at the mission. Guevavi still has so much to add to the archaeological record, though, and it served as the site for a University of Arizona/NPS/Desert Archaeology, Inc. joint field school from 2013 to 2015. In this light, it makes a little more sense that the seminal report on Guevavi has been downloaded so many times. Digital access to documents like this one is imperative these days. While NPS managers may have a copy of the report in dead-tree (i.e., paper) form, digital access is especially important for our current college students who often prefer digital form. Even for NPS archeologists, digital access is often times quicker than tracking down the park’s copy (Who’s desk did I see that on?). For other researchers and interested members of the public, who cannot easily visit the park office where a paper copy may exist, digital access through tDAR may be the only feasible way for them to read and use the report. One of the main goals of the recent field school was to research archaeological remains on lands surrounding the NPS-managed core of the Mission area, to get a better idea of the site’s full occupational history. And as an NPS cultural resource manager myself, I’ve necessarily researched the areas around Mission Guevavi to write a culture history ahead of preservation work on the church walls. 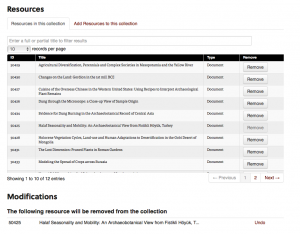 For all of these efforts, access to and use of Burton’s report has been invaluable. Burton’s report is part of the Archaeology of Tumacacori National Historical Park project, which includes three other reports, published in 1981 and 1992. It’s a great way to learn about two different missions, both set up along the Santa Cruz River. And while not set up in a specific collection, the reports that tDAR houses, combined with its ability to search for projects using the geographical filter, make researching these unique sites, including Precontact, Protohistoric, Spanish, Mexican, and American Territorial periods, fascinating. The next time you’ve got a free moment, I heartily suggest checking out the archaeology of the Santa Cruz River Valley in Southern Arizona. On the 6-8 November, Arizona State University hosted the first Army Reserve Mission Resilience and Sustainability (ARMRS) conference, which included over 150 military personnel, civilians, and contractors in attendance. At the invitation of Ms. Kathleen McLaughlin, Deputy Federal Preservation Office for the US Army, Digital Antiquity (DA) staff assisted in the CRM sessions of the training, which Ms. McLaughlin taught. Like other public agencies, the US Army Reserve is responsible for the care of archaeological and cultural heritage resources on the facilities and land that they manage. Data and information about these resources also must be managed effectively for access, use, and sharing. The DA presentation, “Access, Use/Reuse, and Preservation of Data and Information Using tDAR (the Digital Archaeological Record)” illustrates how the tDAR repository is a tool that the US Army Reserve can use to meets its responsibilities. In addition, use of tDAR by US Army Reserve CRM staff will make managing and using the data much more effective and efficient. The overall mission of the conference sought to provide training, context, and understanding of sustainability and its importance to the Army Reserve. ASU, being a pioneer in the field of sustainability, covered multiple subjects from infrastructure and building to reusable energy sources and the processing of wastewater. This platform provided the ideal opportunity for the Center for Digital Antiquity (DA) to present their commitment to archaeological sustainability and reuse of nonrenewable archaeological sources. DA’s Executive Director Frank McManamon, along with Program Manager Leigh Anne Ellison and Digital Curator Rachel Fernandez were part of the professional training and discussed with the session participants access to, reuse of, and long-term preservation for digital archaeological data and other cultural heritage resources. tDAR, as the premier archaeological repository, would present the Army Reserve with the opportunity to preserve and protect the cultural resources that are located on bases and facilities throughout the US, which they are responsible for managing. Many of the training attendees expressed interest in learning more about the Center for Digital Antiquity and support that tDAR could provide in the Army Reserve’s mission towards continued sustainability. 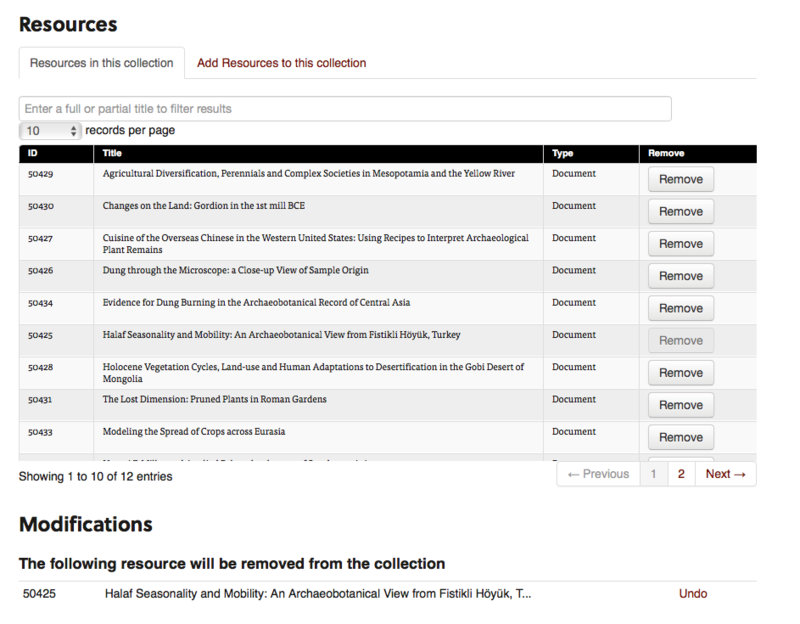 Since July, Digital Antiquity staff have been working with the Digital Archive of Huhugam Archaeology (DAHA) research team to compile archaeological grey-literature reports on the Huhugam. A new post is up on the DAHA website about how (and why) we identified Huhugam geographic sub-areas and added these to tDAR basemaps for improved, automatic geospatial metadata generation as we upload files. Are you intrigued? You can read the full post by David Abbott, Keith Kintigh, and Mary Whelan here. tDAR is used by Avon Park Air Force Range (APAFR) as a safe place to store digital documents, images, and other data outside of the cumbersome Department of Defense (DoD) IT system. When we have new contracts at APAFR we have to send them our past survey work (34 years) which is impossible using the DoD system. Giving a contractor access to our records, all in one spot, is convenient, safe and easy for both APAFR and the CRM firm doing the investigation for us parties. Another advantage of using tDAR is as a back-up system for the DoD system. If my records are wiped out for whatever reason, I can go to tDAR and pull my records for a fresh start with very little effort. And finally, one of the key advantages of tDAR is other archaeologists can get a glimpse of the research going on at this facility, and request access. We have 34 years of survey work which is not available to the general public, but could be a great asset to other professionals and professional institutions. Without tDAR archives they might not be aware this work was even done.